When making syrup (particularly 2:1) warm the sugar first by putting the bags in a moderate oven for 10 minutes. The sugar will then dissolve much more easily when you mix it with the (hot) water. If you see a queen starting to be balled, powder heavily with icing sugar immediately (from the shaker you always keep in your bee box… 🙂 ). This often changes their minds. Have a look at the National Honey Show’s channel on YouTube (https://www.youtube.com/channel/UCiOtIebcpY0Zqqma0H5wLYQ), to see the great series of lectures by experts at past shows. Don’t wash your hair just before going off to do a hive inspection. Some shampoo smells are not appreciated by bees. Always wash (in soda solution) your gloves, hive tool, and the handle of your smoker, between hives. The hood of your beesuit can go in the washing machine with the rest of your suit/jacket if you tuck it down into a sleeve (for the fencing type) or in the trunk of the zipped-up suit (if round type) first. Secure the opening of the suit with a safety pin and remember to tuck the velcro tab away from the veil as well. A see-through/polycarbonate crownboard makes it easier to check how many seams of bees you have in the winter. If you have a phone camera, taking some pictures up through the OMF in winter can provide reassurance that they’re still alive in there. Luggage scales are very useful in monitoring stores situation in winter. Weigh either both sides or front and back at each visit and compare over time to see how much is being used. A spray bottle filled with soda solution can be useful in rinsing gloves. Just be careful not to think it’s the one you filled with clean water for inspections in hot weather (when a fine mist of water can be more calming than smoke for the bees). A wallpaper steamer fed down into a box of old comb on a solid floor can melt out the wax very well (and is what the Thornes’ Easi-steam system is based on). If you want to make some cut comb honey, don’t put the super you want to use directly above the brood box as that is where the bees often store some pollen. Always put your cut comb super on after the OSR season and only on a strong colony. Dusting with icing sugar needs to be done regularly every seven days for a worthwhile drop in varroa levels over the season. An old duvet cover makes a secure container for a boxed swarm in the car (making sure to leave enough ventilation). Shaking a swarm into their new nuc/hive rather than running them in avoids having to deal with instances of them clustering under the new home rather than in it. Always check to make sure you’ve placed the central cup back over the access hole when using a rapid feeder of some type. Otherwise, you risk finding 100s of drowned bees when you next check them and feeling like a mass murderer. When doing a shook swarm, putting a single frame of uncapped brood into the new brood box along with the frames of foundation means that the bees are much less likely to abscond. Take it out and discard it after a week, when most of that brood has been capped, and you will also get rid of most of the phoretic mites that were on the adult bees. This entry was posted in How to, Monthly meeting and tagged advice, anti-varroa, bees and their little ways, Honey, Learning, varroa control, winter on 07/03/2016 by whbbeekeepers. focussed on beekeeping tasks in the wintertime. There were some really interesting discussions so please do have a look at the recording, below. 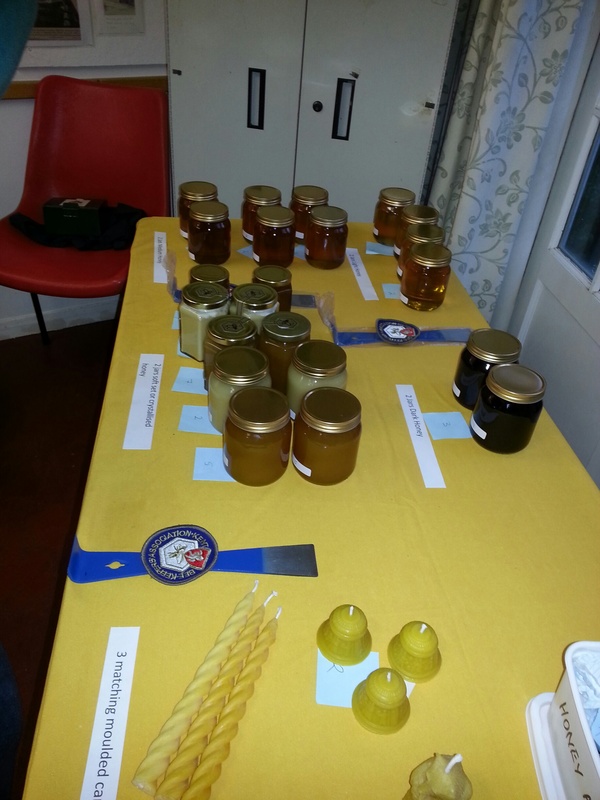 This entry was posted in How to, News - local and tagged advice, winter on 02/12/2015 by whbbeekeepers.